Mansa Samlafo was a permanent resident of the United States for nearly three years when she traveled to her home country of Ghana to marry her longtime fiancé. Upon returning to the U.S., she learned she was pregnant. Realizing her husband wouldn’t be there to support her through her pregnancy left Mansa feeling vulnerable and alone. “In Ghana, your mother comes to live with you and shows you how to hold, feed and bathe your baby. She helps you cook and manage other responsibilities for a few months,” Mansa said. At the recommendation of a friend, Mansa enrolled in Goodwill’s Nurse-Family Partnership, a program for eligible first-time moms. She was paired with Abby O’Connor, a registered nurse who visited frequently with Mansa, usually by phone to accommodate her busy work schedule. Abby answered questions Mansa had about her pregnancy and helped her prepare for delivery. Abby also helped Mansa work through issues post-birth. When breastfeeding was painful, Abby encouraged Mansa to take her daughter, Dromo, to the doctor to have her mouth checked. They learned she was tongue-tied. 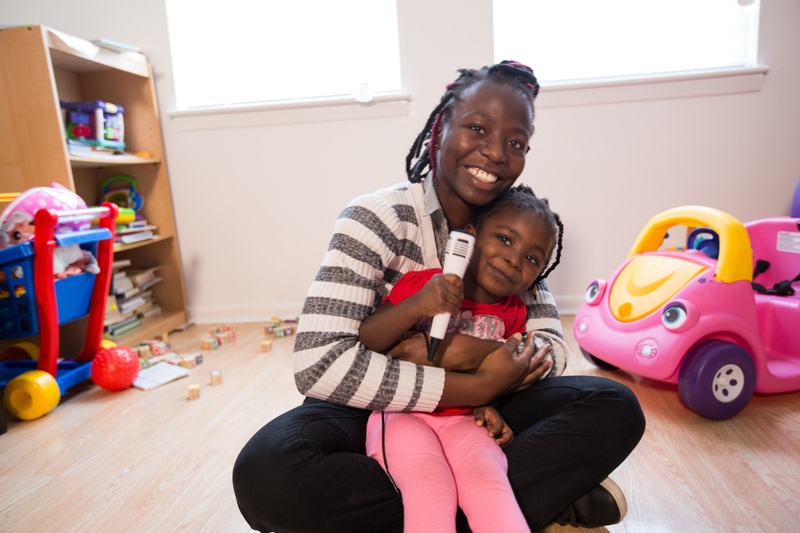 Abby helped Mansa find high-quality child care and referred her to Habitat for Humanity, which will soon allow her to become a first-time homeowner. 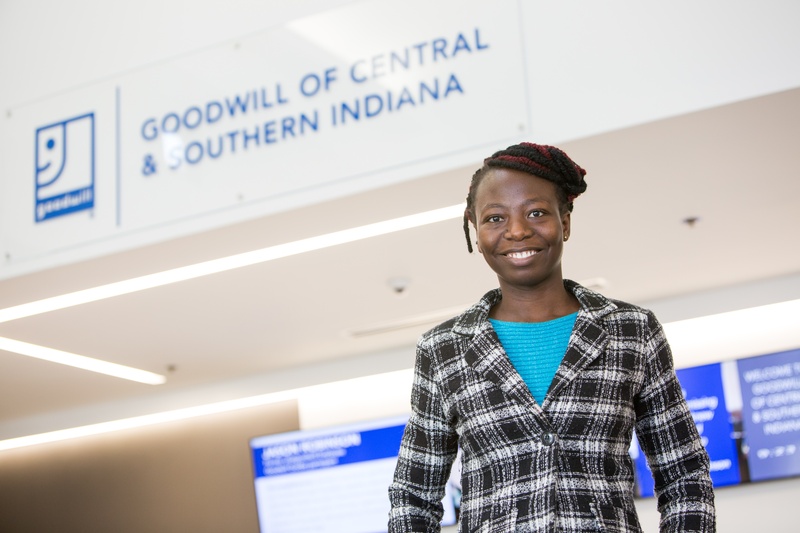 Abby also helped Mansa find a higher-paying job through TalentSource, Goodwill’s team that connects qualified candidates to jobs with employer partners. Mansa’s responsibilities include purchasing items for the entire organization, managing purchasing contracts, routing invoices for payment and more.